Festoonless Systems eliminate the need for control festoon cables, track, and hardware. A Receiving Unit is located on the Bridge Control Panel and another Receiving Unit on the Hoist / Trolley. 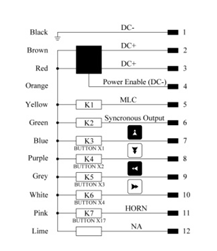 A single Transmitter operates all functions. These systems are also available for multiple Hoist / Trolley configurations. The HV Series operate at 12 to 24 VDC using MOSFET technology in place of electro-mechanical dry contacts. Available with up to 4 outputs plus a synchronous output for PLC interface. Master / Slave Systems allow two Monorails or complete Bridge Cranes to be operated independently or in tandem with the Master Transmitter. Each system includes 2 Receiving Units, 2 Slave Transmitters, and a Master Transmitter. This feature allows two operators the ability to control one crane system from opposite ends of a long runway or cross travel. Qi Wireless Charging is only available with the K Plus Series. Qi Wireless Charging has been embraced by hundreds of leading manufacturers. Qi charging technology cuts the cord from your transmitters – finally, they are truly wireless. The Software Interface is only available with the K Plus Series. 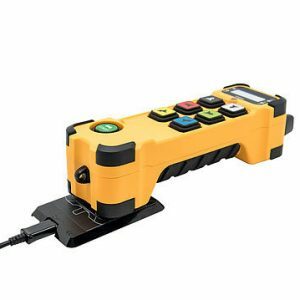 With the Software Interface, you can track your crane or machine usage. This function is good for Crane Service Companies, maintenance workers, or companies who provide lease or rental services. 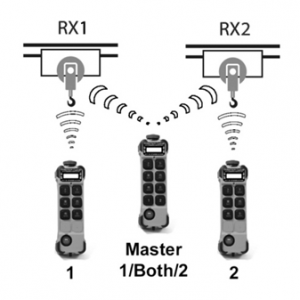 The usage data of both Transmitter and Receiver can be obtained by connecting the transmitter to the “Control Pro PLUS” configuration software. Tandem Systems are available for Monorail and Bridge Cranes with dual Hoist or dual Hoist / Trolley configurations. 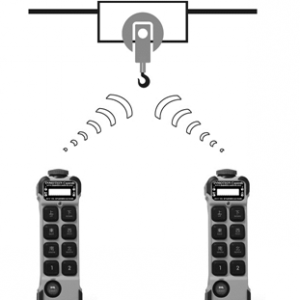 A single Transmitter operates either Hoist / Trolley individually or both at the same time. Each system includes 2 Receiving Units and 2 Transmitters. Zero-G safety is only available with the K Plus Series. The zero-g safety function can prevent the uncontrolled output of commands. 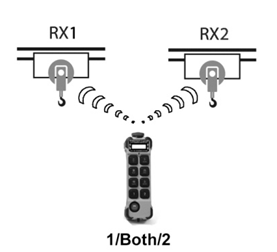 The G sensor can detect if the transmitter is dropped or thrown. 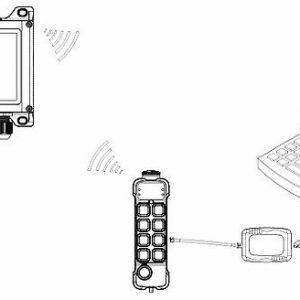 These features can deactivate the complete radio system or only the relevant functions.